Will began his farming journey at Waldingfield as a farmhand at the age of 17. After a two-year stint in Los Angeles, where he worked in music venues, community gardens, and university sustainability, he returned to the east coast to further pursue farming. He received his B.S. 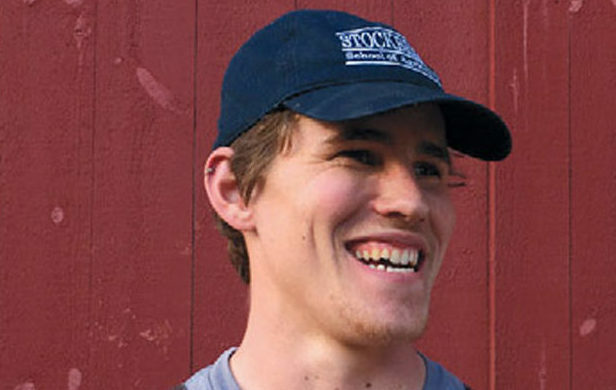 in Sustainable Food and Farming from the University of Massachusetts, Amherst’s Stockbridge School of Agriculture where he co-managed the UMass Student Farm. After graduating in 2016, he returned to Waldingfield Farm to fill the Assistant Farm Manager position and support Jed in the daily operations of the farm. He hopes to apply his education to the crucial task of building and protecting the soil. When he’s not at the farm, Will serves on the steering committee of the New CT Farmer Alliance, a regional chapter of the National Young Farmers Coalition. Through his work at the farm and NCTFA, Will hopes to help create an agricultural environment that is welcoming and supportive for new farmers, as well as influence farm policy in the state.